Ankara: Turkish President Tayyip Erdogan promised to create a buffer zone in the north of neighboring Syria in the coming months. “We expect the security zone to be established in the next several months. We will create a zone of security one way or another. We expect logistic support from our allies in this issue,” the president said on Friday during a speech in the town of Erzurum. His speech was broadcast by television channel NTV. 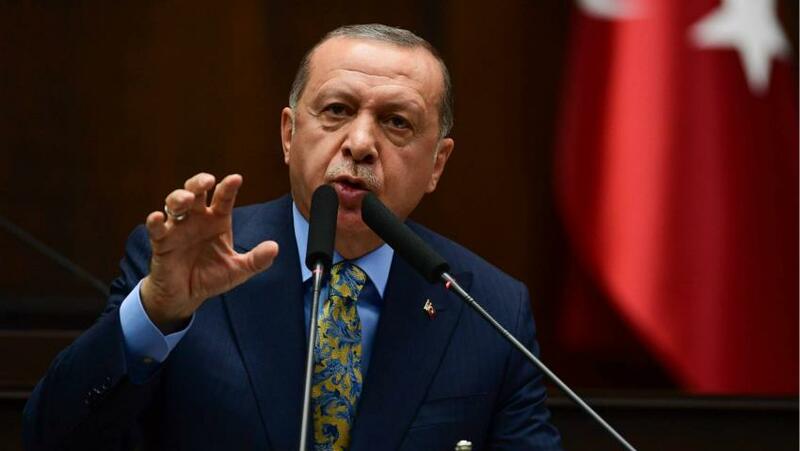 Erdogan also stated that “Turkey does not need anybody’s permission [to carry out operations] on Syria’s territory.” Ankara has this right due to the agreement signed between Turkey and Syria in 1998 in the Turkish city of Adana, he said. Relations between Turkey and Syria in the 1980s-1990s were rather tense, because Ankara blamed Damascus for supporting the Kurdistan Workers’ Party (PKK). In October 1998, a crisis broke out in relations between the two countries, and Turkey issued a 45-day term for Syria during which the country had to fully reject the PKK’s support. The same year Syria’s authorities expelled PKK leader Abdullah Ocalan, after which a breakthrough in relations between the two states occurred. On October 20, 1998, negotiations between the foreign and interior ministers ended with the signing of a joint protocol and an agreement on security in the Turkish city of Adana.